Jillian McNulty is well known in Longford and beyond for her heroic campaigning efforts to get Orkambi funded by the Irish government. Jillian herself suffers from Cystic Fibrosis and spends much of her time organising fundraising campaigns for Cystic Fibrosis patients. 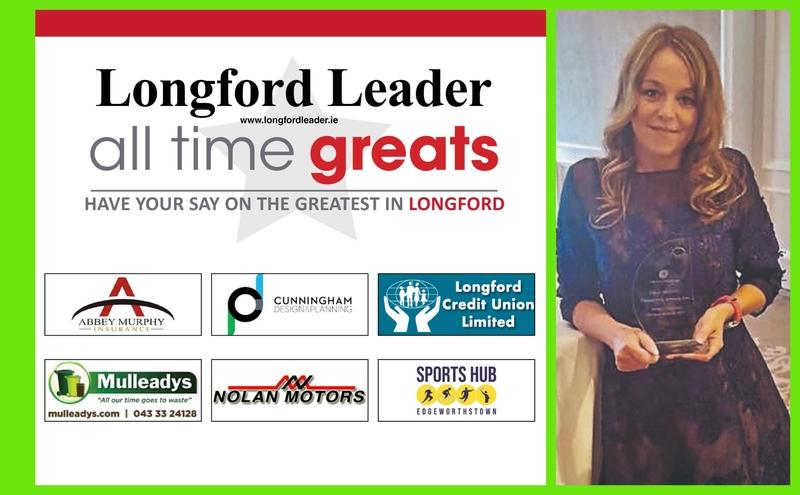 In 2017 she won the Longford Person of the Year Award and has been winning awards left, right and centre ever since. In April last year, she was named one of IMAGE Magazine's Inspirational Role Models for young Irish women. And, in 2017 she received a Hidden Hearing Hero Award. Jillian is currently working on getting her next fundraiser for Cystic Fibrosis up and running. The Valentine's Day Ball will take place on February 9 in Lough Rynn Castle.